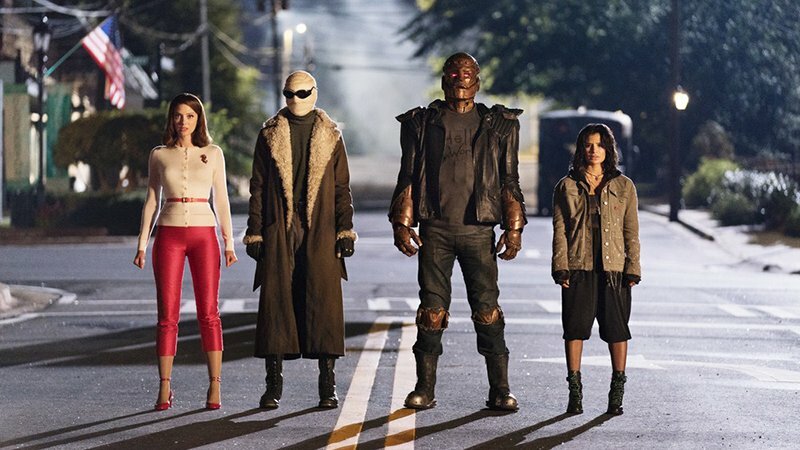 DC Universe has released the official photos for the series premiere of Doom Patrol, which will launch on the subscription service this Friday. Check out the Episode 1 photos now in the gallery below! Part support group, part superhero team, the Doom Patrol is a band of super-powered freaks who fight for a world that wants nothing to do with them. Picking up after the events of Titans, Doom Patrol will find these reluctant heroes in a place they never expected to be, called to action by none other than Cyborg, who comes to them with a mission hard to refuse, but with warning that is hard to ignore: their lives will never, ever be the same. Doom Patrol stars Joivan Wade as Victor Stone/Cyborg, Brendan Fraser as Robotman, Matt Bomer as Negative Man, Timothy Dalton as Niles Caulder/The Chief, April Bowlby as Elasti-Woman, Diane Guerrero as Crazy Jane and Alan Tudyk as Mr. Nobody. The Doom Patrol characters previously appeared in the fifth episode of Greg Berlanti’s DC Universe live-action drama Titans, with Bruno Bichir, April Bowlby, Jack Michaels, and Dwain Murphy starring. The direct-to-series order of 13 episodes will be written by Supernatural‘s Jeremy Carver and will be executive produced by Berlanti, Geoff Johns, Jeremy Carver, and Sarah Schechter. DC Universe recently announced that another live-action series, Swamp Thing, is being developed for the digital service. The series is being executive produced by James Wan (The Conjuring universe, Saw franchise, The Tommyknockers) and will debut in 2019. Berlanti, a master of superhero TV shows, has helmed series including All American, Arrow, Black Lightning, DC’s Legends of Tomorrow, The Flash, Riverdale, Supergirl, Blindspot, God Friended Me, The Red Line, The Chilling Adventures of Sabrina, You, and Titans. The series will be making its debut on February 15, exclusively on DC Universe.